The Cattaraugus Company was started by John Champlin and his son Tint in 1882. It was first incorporated under the name J.B.F. Champlin and Son as a wholesale distribution company based in Little Valley, New York. The business proved to be a successful endeavor, and it soon branched into a knife production company named Cattaraugus. In 1890, Mr. Champlin purchased cutlery manufacturing equipment from a failed business called the Beaver Falls Cutlery factory. Because Champlin started in the knife business as a wholesaler for a company who Imported German and English knives he had great knowledge about the cutlery business. As a wholesaler, he knew the market well, and he knew the shortcomings of the U.S. knife manufacturers. His plan was simple. He believed that the business would thrive if he could providing the highest quality cutlery available. In order to achieve this goal, he hired the best cutlers and provided them with the highest quality materials. This combination proved to be successful. Champlin brought in cutlers from Germany, England, and other U.S. manufacturers. The knives that were created in these early years set the quality standard by which all other U.S. manufacturers were measured. The links below offer a detailed explanation and reference to various characteristics about Cattaraugus knives. Cattaraugus’ Knife Numbering System This link will explain the company’s numbering system that it used to represent knife patterns, handle materials, and other characteristics. represent certain blades or other unique characteristics. This link contains information about these characters. Handle materials used by Cattaraugus Here you will find some pictures and descriptions of the various handle materials used by Cattaraugus. They are listed by their respective handle number designation. 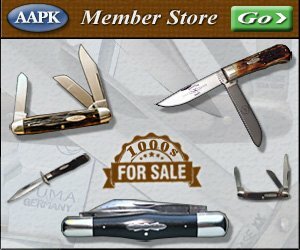 Cattaraugus’ knives listed by pattern number This link lists most of The company’s knife patterns by their factory pattern number, shows a picture, and gives each knife a name along with a description. Catt Military Knives This link contains information about The knives that the company manufactured for WWII.